Congratulations on getting your 190 skilled visa! Not happy with your Sponsoring State? Now that you have your 190 visa, are you discovering things aren’t turning out as well as you had hoped in your sponsor State? Are you having trouble finding a job, place to live and finding it difficult to integrate because you have not formed any friendships? 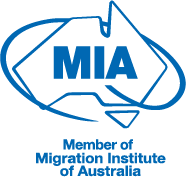 As you may be aware, skilled migrants who are granted a 190 visa are expected to live in the State that sponsored them. This is based on the premise that nominees are selected by a State to meet those skills shortages in that particular State. Are you thinking of moving to a different State with better job prospects but are worried that doing so may result in the cancellation of your visa? It is important to understand that the commitment you made to your sponsor State is not a legal obligation, but a moral one, where you made a promise to live and work in your sponsor State for a minimum of 2 years. Many people, rightly or wrongly, never set one foot in the sponsor State because the 190 visa is a national visa which gives the visa holder living and working rights nationwide. As your obligation is a moral one, your sponsor State cannot stop you from moving interstate and there will not be a strike against your name should you choose to leave your sponsor State. However, it is important to understand that case officers will retrieve and consider all your current visa information when considering the outcome of any future visa applications you make. Before you make an interstate move you should consider whether you are leaving your sponsor State for adequate, well-intentioned reasons, so as to avoid negative impact of any future visa applications you make. Generally, in such circumstances, the visa holder will write to the relevant State explaining their circumstances and their unsuccessful attempts in creating a life in the sponsor State, and ask to be released from the obligation. More often than not the release is given without too much difficulty. If you would like to have peace of mind that you have done everything in your power to try to make things work in your sponsor State, we recommend you speak to one of Pathway's immigration experts before making the move! Newer PostI'm moving to Australia with family - will I get a visa if one of my children is sick? Older PostI would like to apply for an Australian skilled visa. Do I need to complete an English test? What are the advantages of a higher score?